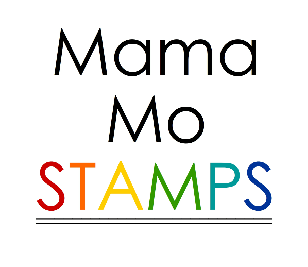 You should have arrived here from Mary Dawn Quirindongo's Blog. 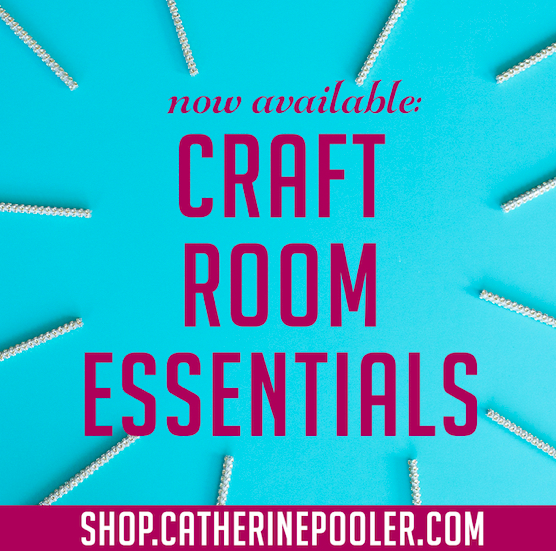 If not, head to the Lil' Inker Store Blog to start from the beginning. I still have so much to show you, so buckle in! 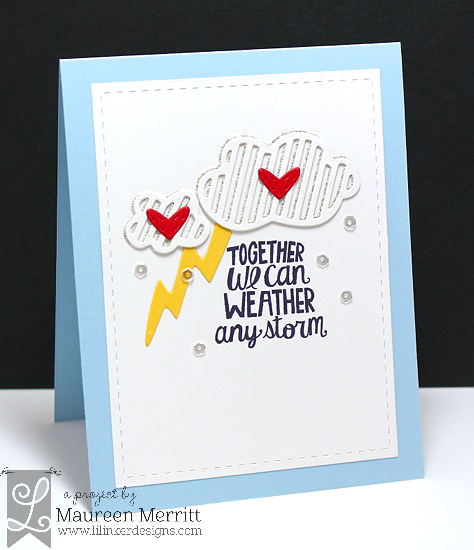 My first card features the Dance in the Rain Stamp Set and Cut It Out Clouds & Accessories Die Set. 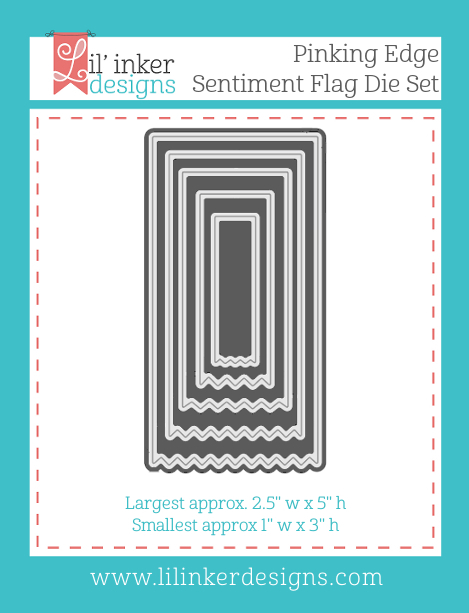 My next card features the Seriously Awesome Stamp set & the Pink Edge Sentiment Flag die set. I love the variety of sizes available in this die set, some small for little sentiment and some supersized to use in addition to word dies! I'll definitely get tons of use out of these. 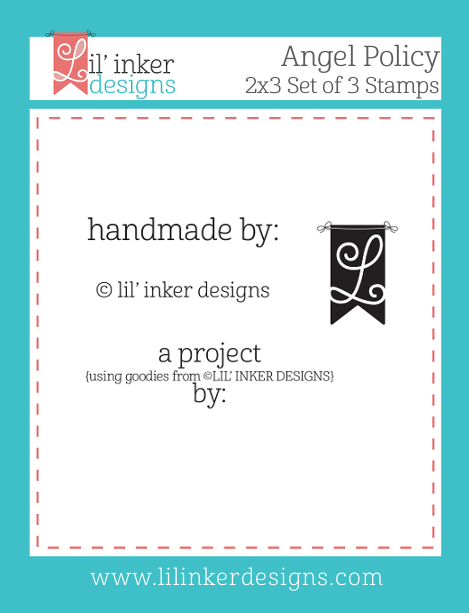 Lil' Inker's is now carrying their own Angel Policy Stamps too! Which I used on the back of my card. I replicated the front design quickly and easily. Time to keep hopping along now. Next up is Sarah Jay, so head over to her blog because you know she'll have something AMAZING to show you. Make sure to leave comments along the way too, because Laura is giving away 3 - $15 Store Credits! Have fun hopping & shopping! Love the cloud dies and the Pinking Edge Sentiment Flag dies! 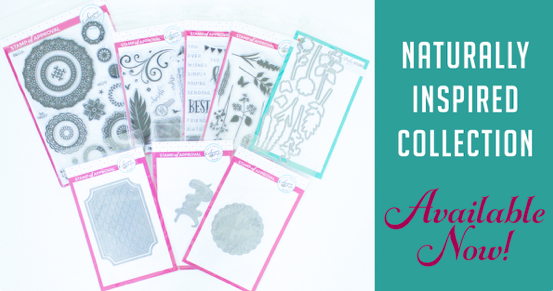 Fun cards to show them off! 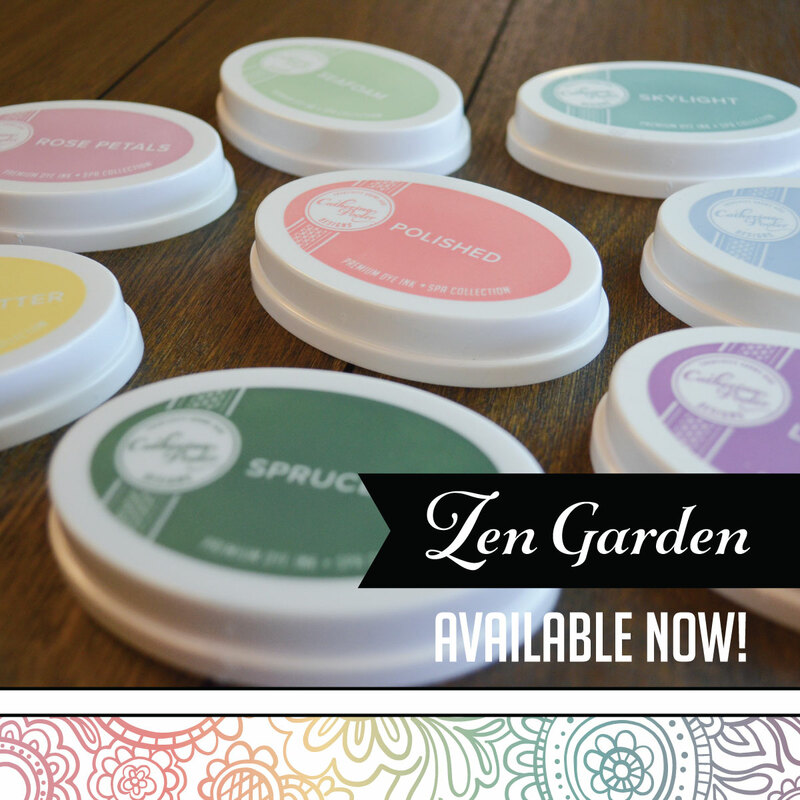 Your cards are fun, fun, fun...love them both! LOVE the clouds, LOVE the cuteness of the hearts on top, LOVE the lightening & sentiment, LOVE the pinked flag and the sweet angel policy stamps too ... oh my, so hard to choose a favorite, I think I NEED THEM ALL!!! 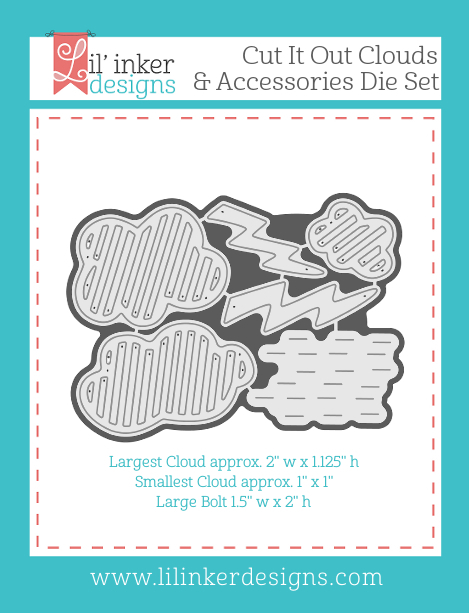 I love those cloud dies...gotta get them! Day 3 (already!) 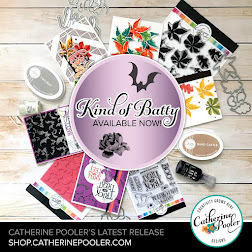 and the release continues to amaze and delight, as do your fabulous, eye-catching showcases! WOW to the max! FAB cards! Love all the perfect little details and colors! So cool! 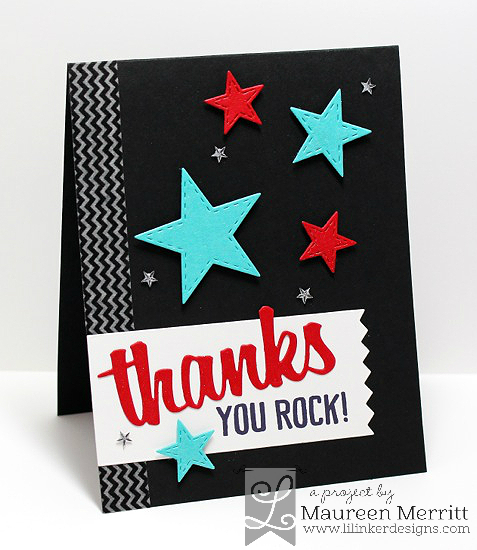 LOVE the pops of red on the clouds - and the bright colors on the black on the second card! How fun to use sequins for raindrops. Love your Cloud card! 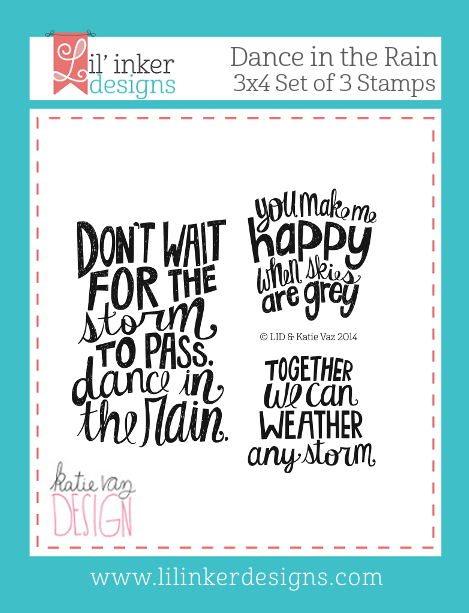 And aren't the Dance in the Rain sentiments the best ever made to go with cloud/rain, stormy weather cards? 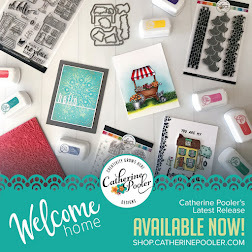 Your cards are always so fun and striking, Maureen - great showcasing of the new products! 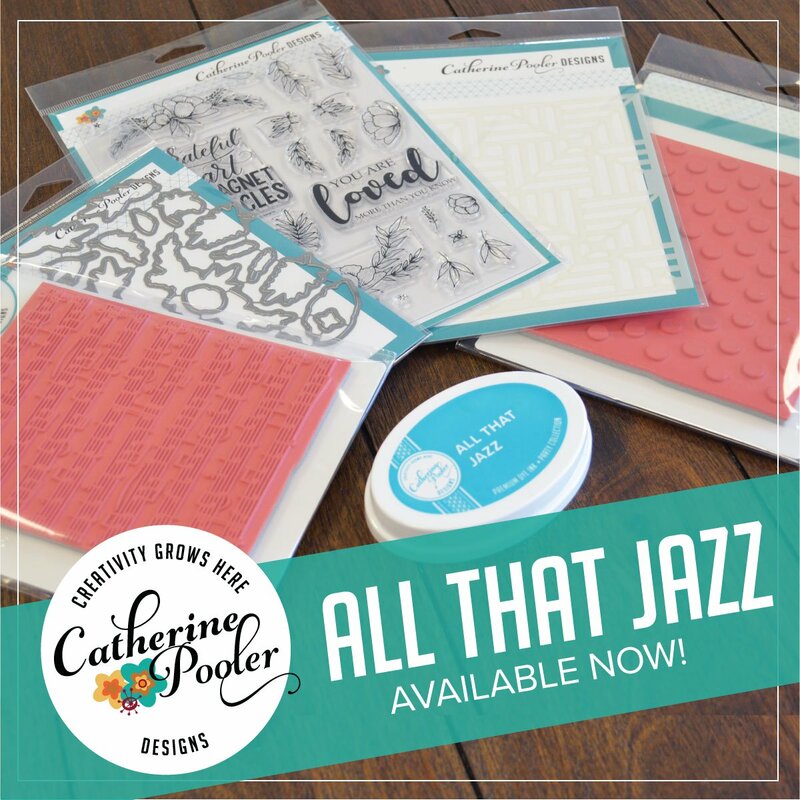 wonderful cards...love the rain sequins on the first and the bold look of the last thanks card. I love the layering you did with the clouds. I love the colors of the second card. All the inspiration just makes me want to buy everything. I love that black card. The stars just pop off the card. The cloud card is pretty. So glad to get the lightning bolt included in the set. Ohh, the "Thanks you rock" card is stunning! 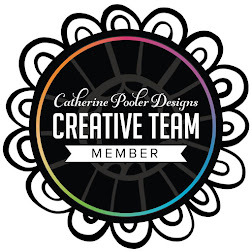 Such bright and beautiful designs. Perfect!! I like the addition of the hearts on the first and the colorful stars on the second. Such fun cards Maureen. Love the bright colors you used. Cute cards! That second one with those colors is my favorite! You are a master. the second card, in particular has me drooling for all the products you used. Your cards are so bright and clean. I love the first one and how you lined the clouds with silver. The colors on the second one are fabulous!! Great work! You knocked it out of the ballpark with these two cards! I really like your style. i gotta start following your blog. 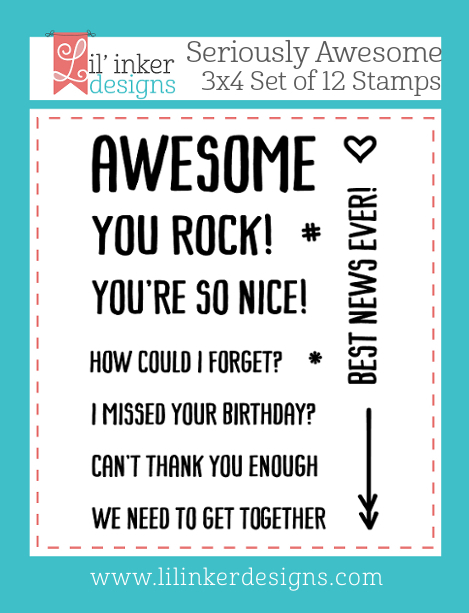 your cards rock! Awesome cards! I really love all the new releases! Wonderful cards. I especially love your sequins rain. Adorable cards...love the little hearts on the clouds...too cute! Great cards! I love the hearts on those clouds! Great cards! Love how you used the angel policy stamps! 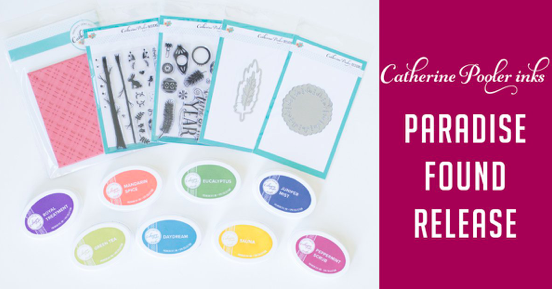 Fun CAS cards! Another great release! 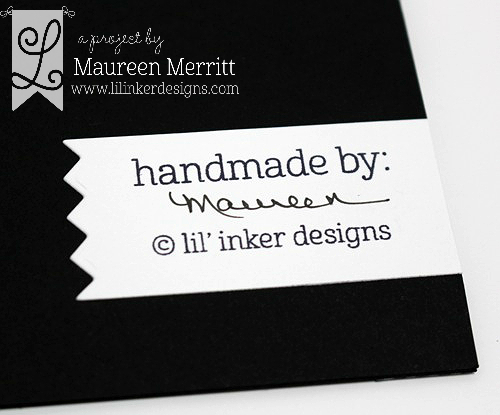 Lil' Inker Designs July Release - Day One!